A healthy Coffee is here! "Make your daily habit a healthy one." The Best-Selling Healthy Coffee... Try it! 'Coz it tastes so good... Make it your morning, afternoon, evening & night time coffee everyday! The Lingzhi Coffee 3-in-1 is an organic mushroom coffee (healthy coffee) beverage uniquely blended with the finest Brazilian coffee beans, Ganoderma extracts, Sugar and Low Fat Creamer. This coffee tastes really good! It is packaged individually in small sachets for instant satisfaction and everyday-use consumption. This coffee has vitamins and minerals that provide aid to other elements in the body to produce energy. Drink it daily during breakfast, after meals or snacks and feel active all day! The Lingzhi coffee 3-in-1 is also called the mushroom coffee or ganoderma coffee. The careful processing of this coffee maintains its nutritional value while its main components are organically grown. Not only that Lingzhi coffee 3-in-1 is great tasting healthy coffee, it is actually the healthiest coffee. In fact, this is the best-selling product of DXN International. In addition, you can bake a chiffon cake with Lingzhi coffee 3-in1. 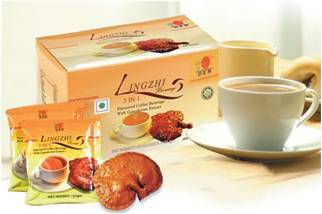 Lingzhi Coffee 2-in-1 - An instant coffee blended with Ganoderma extract and sugar. The ingredients are easily dissolved and produce an excellent aromatic beverage. One cup of DXN Lingzhi Coffee 2-in-1 refreshes your mood. Lingzhi Black Coffee - A unique formula of DXN Lingzhi Black Coffee contains the finest quality of instant coffee and Ganoderma extract. It has no sugar and is suitable for those who like to limit their sugar intake. Vita Café - An exclusive 6-in-1 coffee added with Ginseng, Tongkat Ali, and Ganoderma extract. It is very refreshing with exquisite traditional flavor and delightful distinctive aroma. ZHI Mocha - a variety of Lingzhi coffee especially concocted for coffee lovers who love the taste of chocolate as well. This rich and aromatic Zhi Mocha is blended with instant coffee powder made from the selected coffee beans, Ganoderma extract and cocoa powder. Now, coffee lovers can savor and enjoy the difference of this exquisite Zhi Mocha without the overly rich feeling. EuCafé - a perfect blend of extracts from selected Tongkat Ali roots and premium quality coffee powder, in a premix instant coffee packet for easy preparation and consumption. Together with its delicious and aromatic coffee flavor, Eu Café is certainly a natural beverage that you simply can't resist. Cordyceps Coffee - especially formulated from instant coffee powder added with Cordyceps extract. This unique formulation makes a smooth and aromatic coffee to zest up your day by increasing energy level, overcoming fatigue and creating alertness. 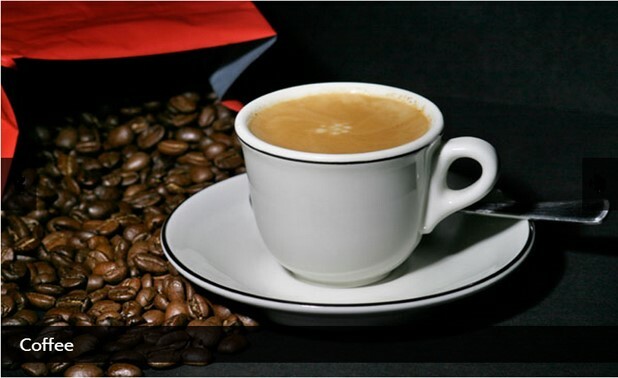 DXN Global is the sole manufacturer of Lingzhi Coffee 3-in-1, Lingzhi Coffee 2-in-1, Lingzhi Black Coffee, Vita Café, ZHI Mocha, EuCafé and Cordyceps Coffee 3-in-1. These coffee products are available only through authorized DXN Service Centers worldwide or through International Networking System. 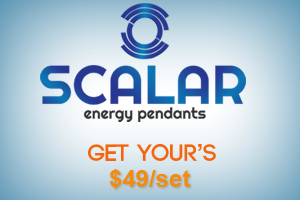 Please check for the Service Centers near you to purchase this product or Contact Us to inquire for details on how to purchase with discount. Coffee Maker Reviews and Ratings - Finding the Best Coffee Makers for You!